When selling a house you’ll have several options. You can either sell your house with a realtor or you can try to sell your house on your own. And of course, you can also sell your house to a real estate investor. It’s worth noting that each method of selling real estate has its own benefits and drawbacks. The reality is a lot of people choose to sell their properties to real estate investors for a number of reasons. In this blog, we’ll explain to you why it makes a lot of sense to sell your house to a real estate investor. In other words, we’ll outline the most important benefits of selling a house to a real estate investor. It may take you a lot of time to find a buyer for your house. Keep in mind that a lot of real estate investors are ready to purchase your house today. 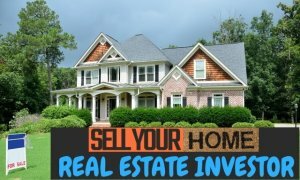 So, if you choose to sell your house to real estate investors you’ll be able to get a lot of cash offers within a short period of time. You need to know that most real estate investors provide their clients with cash offers within 24 hours. Obviously, selling a house to a real estate investor is a good option for people who are interested in selling a house quickly. Let’s imagine that you would like to sell your house either with a realtor or on your own. Once you list your house for sale you’ll start receiving hundreds of calls from real estate agents and prospects. You’ll need to spend a lot of time on talks with realtors every single day. After that, you will have to show your house to your potential clients. None ever said that selling a house was easy. People usually experience a lot of stress when trying to sell their properties with a realtor or on their own. It’s worth noting that real estate investors make it easy for home owners to sell their properties. In fact, the process of selling a house to a real estate investor is very easy. First of all, you need to tell real estate investors that you’ve decided to sell your house. As a result, investors will provide you with cash offers within a short period of time. Then, you need to select the best cash offer and sell your house to a real estate investor of your choice. It’s clear that selling a house without a realtor has its own drawbacks. As it was mentioned above, home sellers always receive a lot of calls from real estate agents. On the other hand, realtors usually put a lot pressure on property owners. For example, real estate agents often ask house owners to sell their property at much lower price. As a result, a home owner may have big losses. So, dealing with realtors is often very stressful experience. It’s also important to note that if you sell your house with a realtor a buyer will have to pay 5% fee. Obviously, realtor’s fees make properties more expensive. And of course, real estate agents make it impossible for home owners to sell their properties on their own. Keep in mind that you’ll be able to make a great deal and, most importantly, avoid dealing with realtors if you choose to sell your house to a real estate investor. What is great about selling a house to a real estate investor is that you’ll be able to avoid realtor’s fees. It’s no surprise that real estate is a highly competitive industry. As the saying goes “supply creates its own demand”. That means that a lot of people are selling their properties. On the other hand, a lot of people are interested in buying their properties. A lot of investors operate in the real estate market these days. So, you’ll not find it hard to sell your property to a real estate investor in your area. Keep in mind that each of real estate investors is ready to purchase your house. Thus, you’ll be able to select the best cash offer and sell your house at the highest price. Oftentimes, people have to sell their house when they can’t make their monthly mortgage payments anymore. By doing so, they will be able to avoid foreclosure and its negative consequences. However, finding a buyer who can take over your mortgage payments is no easy task. Therefore, if things go wrong and you find it hard to make monthly mortgage payments one day then selling a house to a real estate investor is worth considering. There is no doubt that you’ll be able to find real estate investors who agree to buy your house and take over your monthly mortgage payments. As a result, you’ll be able to sell your house fast and your house will not go into foreclosure. You’ll definitely find it hard to sell a problematic property. However, noting is impossible! The reality is a lot of real estate investors are ready to purchase problematic properties nowadays. In reality, problematic properties are sold at much lower price. But the most important thing is that homeowners have a chance to sell his/her property. After analyzing your problematic property carefully a real estate agent will provide you with a confidential cash offer. If you accept the offer you’ll be able to sell your house very quickly. So, you’ll be able to get a fast and effective solution for your problem.